Bauer College’s Professional MBA, an evening program designed for working professionals, ranks 38th (tied) among public institutions out of 134 ranked part-time MBA programs on the U.S. News & World Report 2020 Best Graduate Schools list. The program ties for 65th overall of 220 ranked. 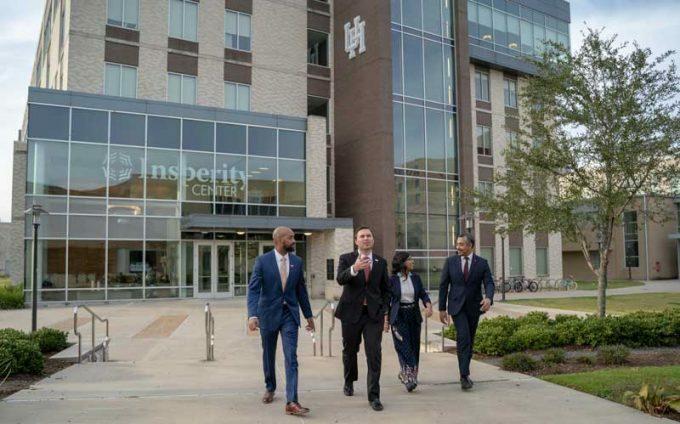 The college’s Professional MBA program saw an increase in overall peer assessment score, a factor that contributed to the ranking by 50 percent. The list pulls from statistical surveys of more than 2,054 programs and from reputation surveys sent to more than 22,018 academics and professionals, conducted in Fall 2018 and early 2019. In both the full-time MBA and part-time MBA program rankings for the first time, U.S. News added the GRE analytical writing score into the full-time MBA and part-time MBA ranking methodologies. Previously, only the GRE quantitative and verbal scores were used. The Bauer Full-Time MBA was also included in the list, ranking 54th among publics out of 131 ranked programs and 95th overall. To see more about the U.S. News list, click here. To see more Bauer College rankings, click here.